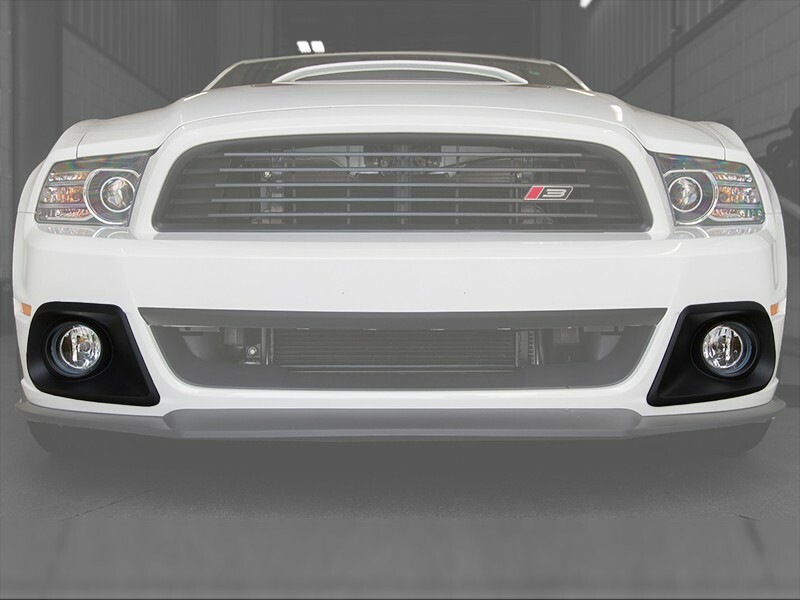 Give your 2013-2014 Mustang GT or V6 model the distinct aggressive ROUSH look with the ROUSH Lower Fog Light Kit. These lower pockets provide perfectly positioned mounts for auxiliary lighting to improve nighttime, or other low visibility, driving. 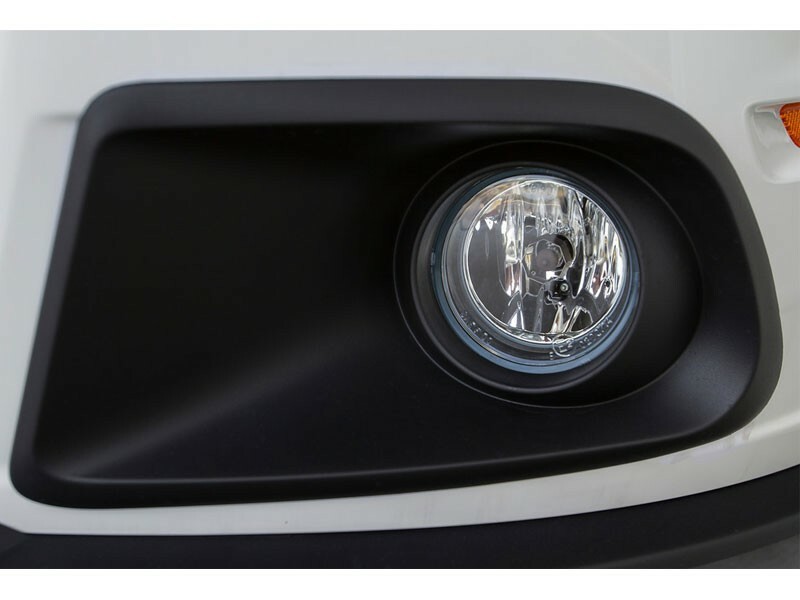 The 2013-2014 ROUSH Lower Fog Light Kit is made from high-strength, light-weight TPO (Thermal Plastic Olefin) and features a black stipple finish for an OEM look and long-lasting durability. The plastic is molded with high-pressure injection (the same process used by automotive manufacturers), creating an impact-resistant, tough, yet flexible insert. 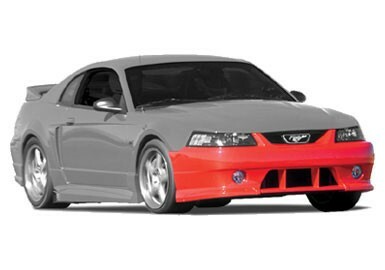 This kit is designed with OEM CAD data for optimum quality and fitment, and includes the ROUSH 90-Day Limited Parts Warranty. 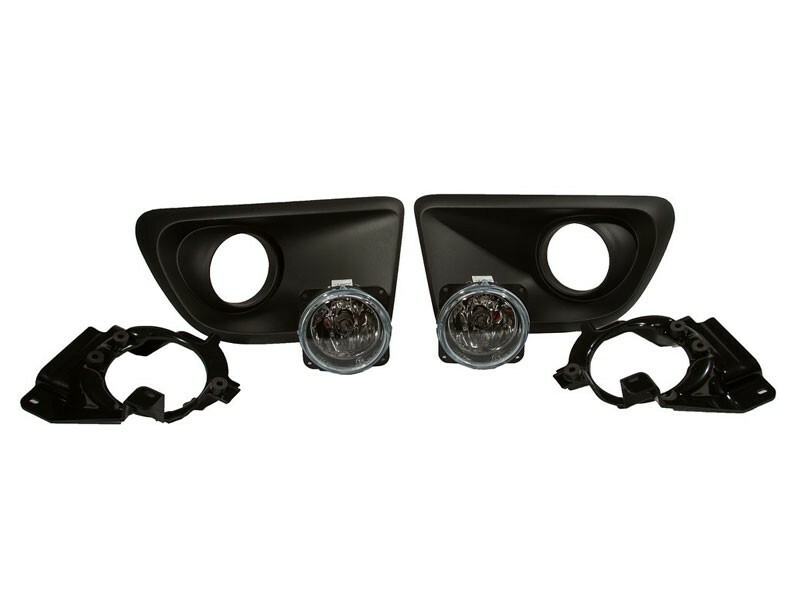 All necessary hardware for installation on both GT and V6 model Mustangs is included in this kit (such as the fog light bezels, reinforcements, plug-and-play wiring harnesses, fasteners and installation template). 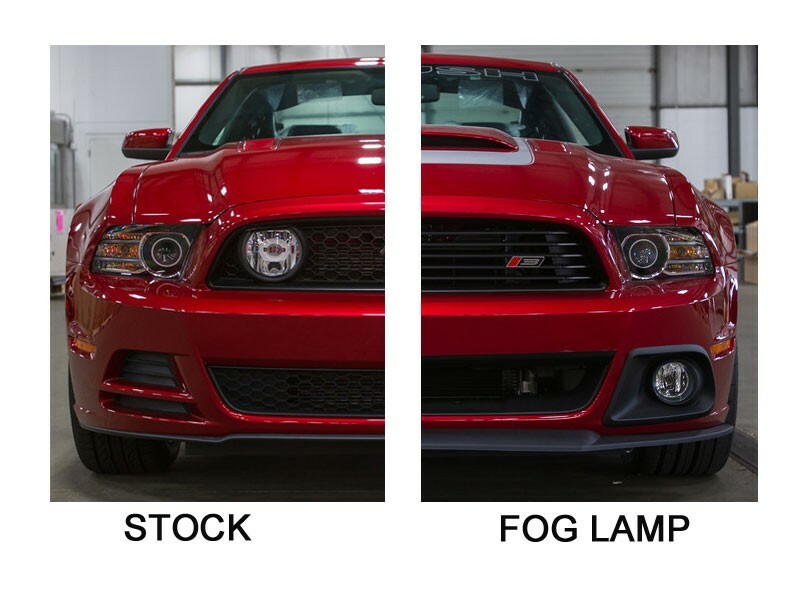 Please note: installation of the ROUSH Lower Fog Lamp Kit will disable the use of the factory upper grille fog lights, and will require you to modify the factory Ford bumper (please reference instruction manual for further details). 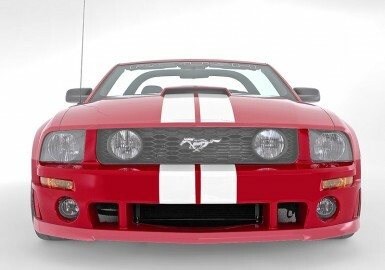 Looking to make the front end complete with ROUSH styling? 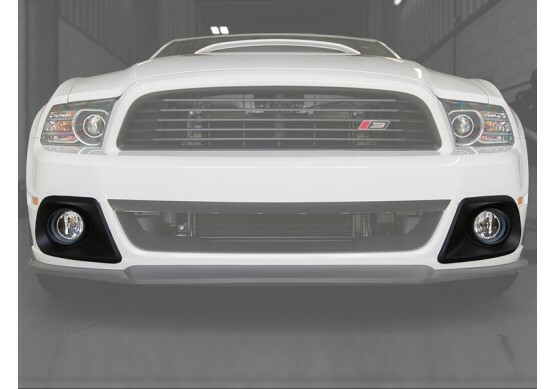 Try the 2013-2014 Ford Mustang ROUSH Upper Front Grille Kit (Part# 421392) and/or the ROUSH High-Flow Lower Opening (Part #421393)!